The Town Mayor was very pleased to open Maldon Vintage Christmas Fayre which this year had 70 stalls. 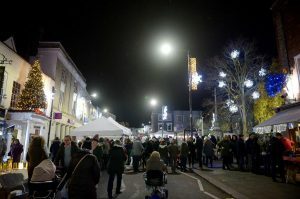 Despite the cold weather, it was a busy night with many people dressed up in 1940s outfits. 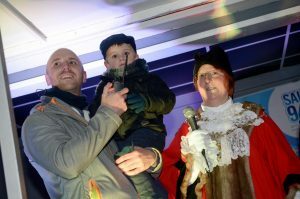 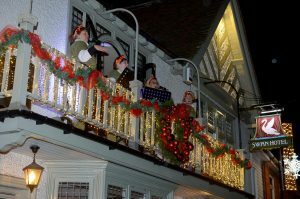 It was also the occasion for the switching-on of the town’s Christmas lights.